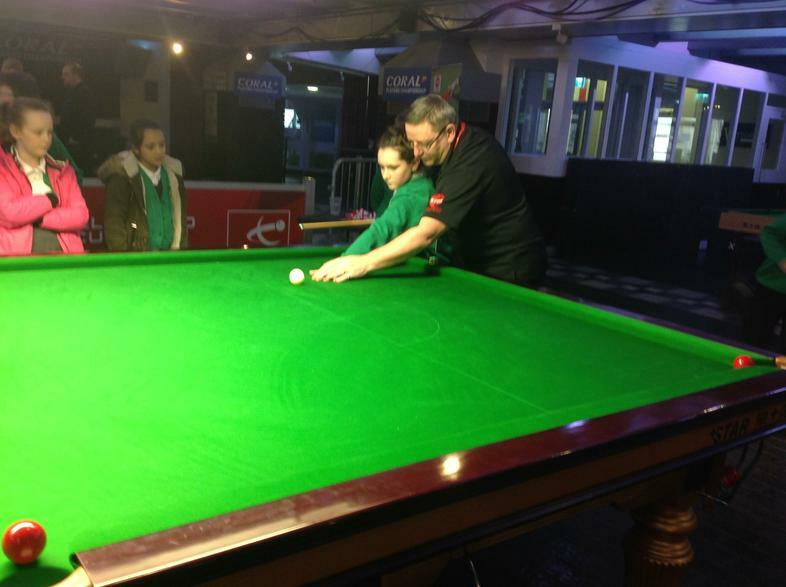 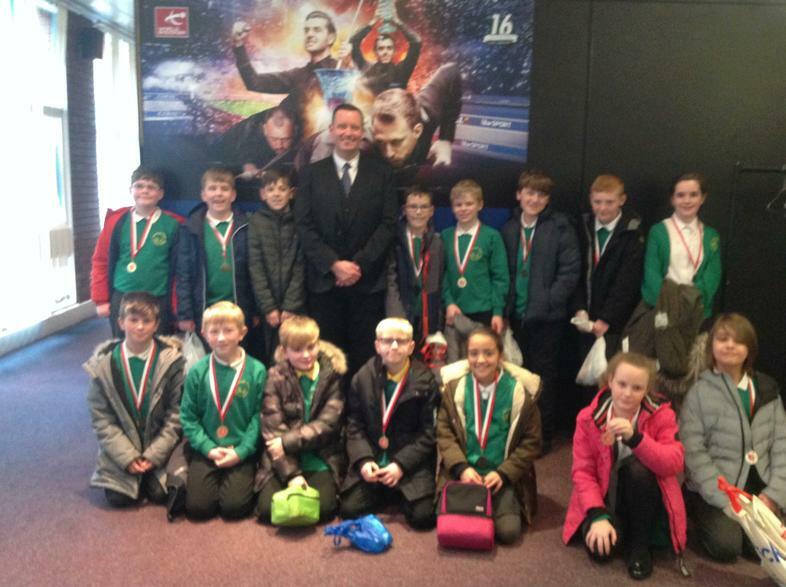 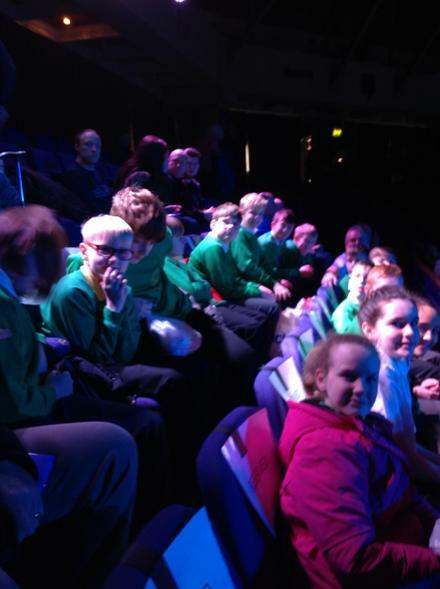 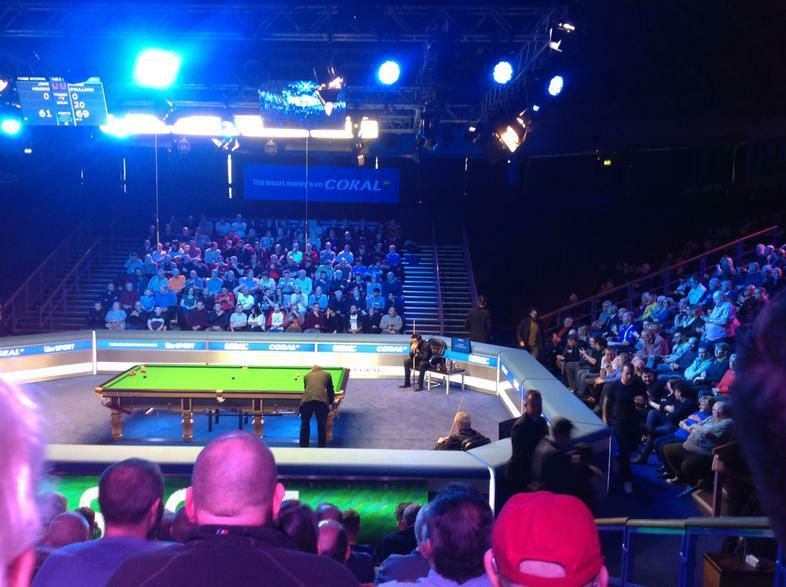 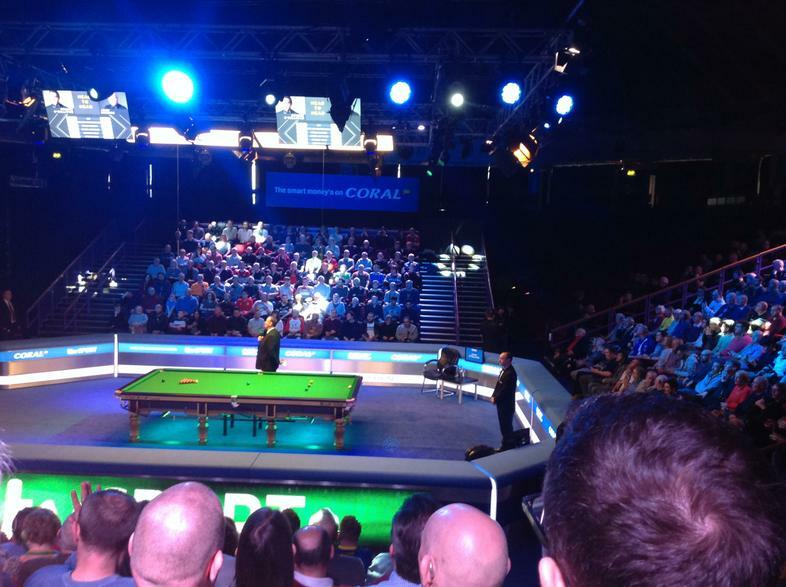 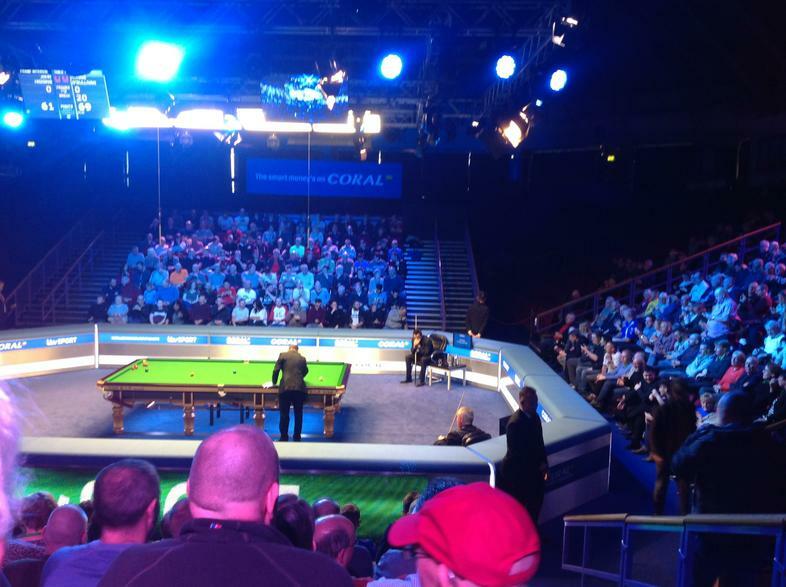 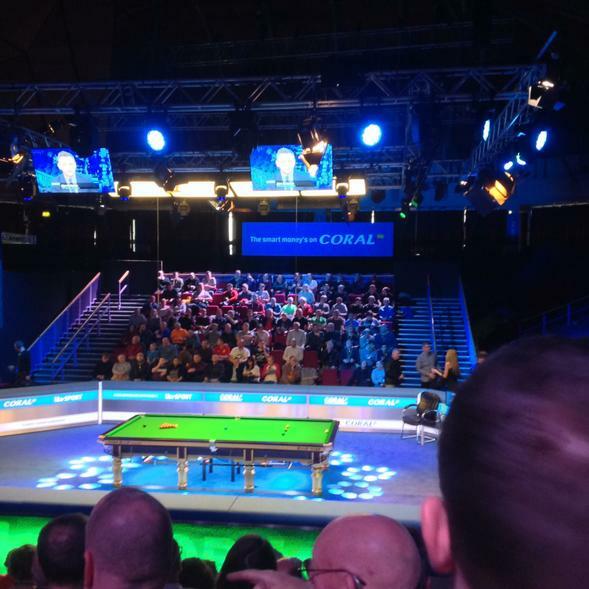 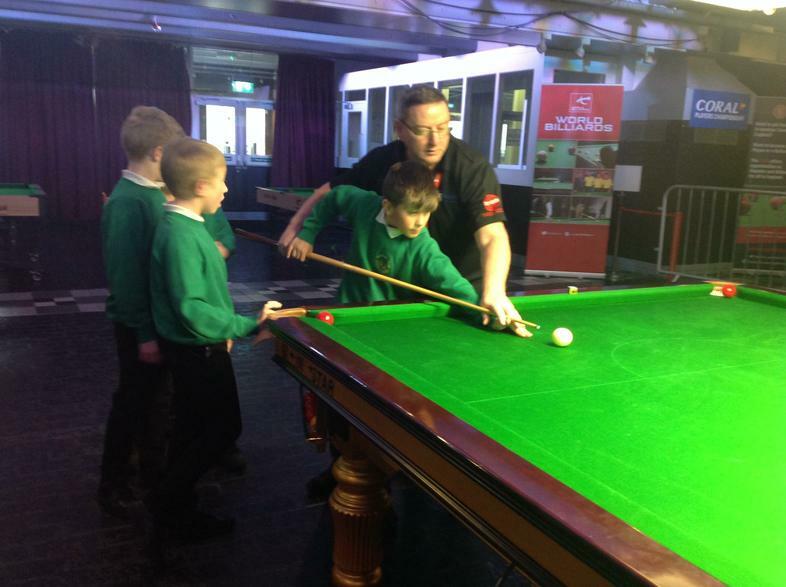 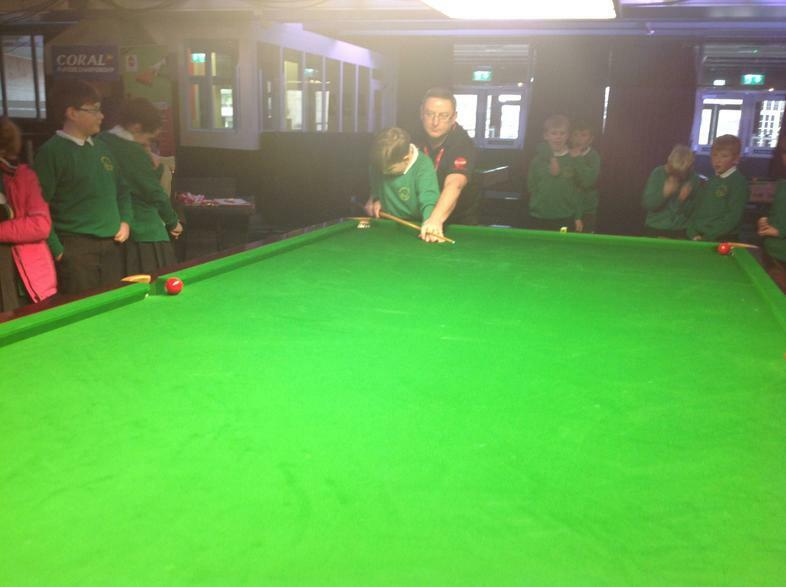 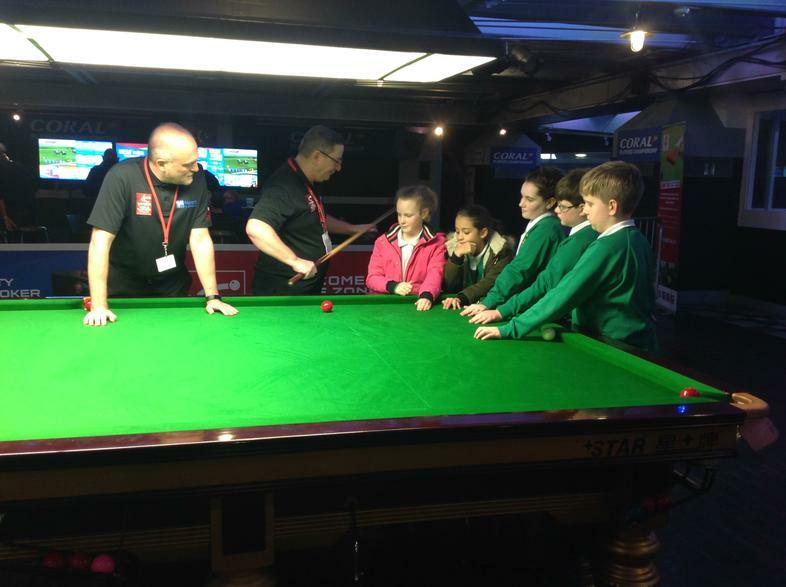 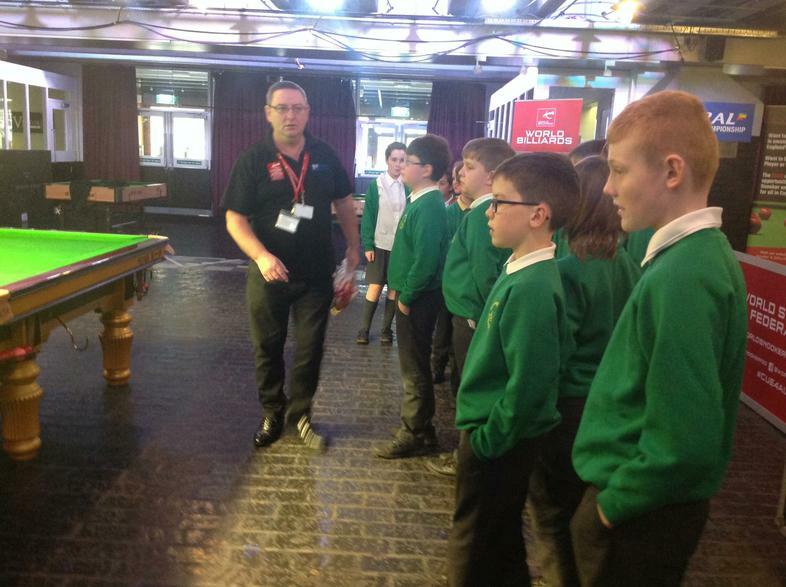 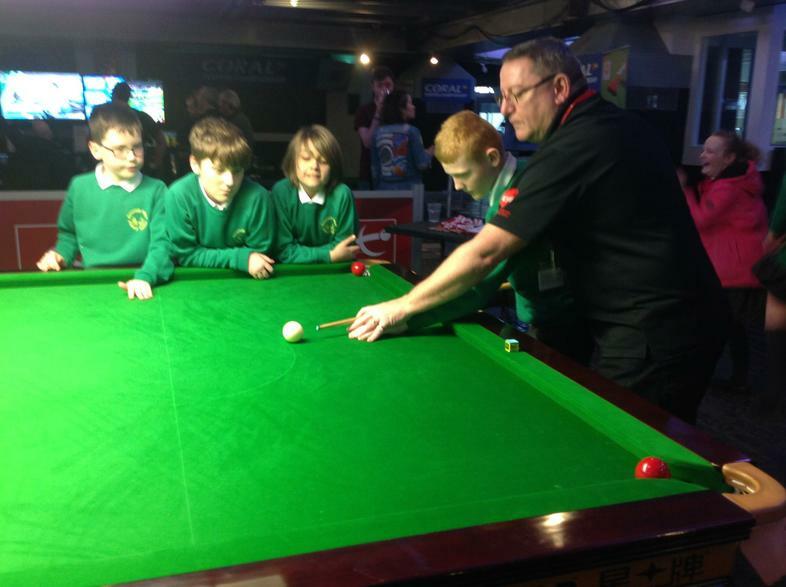 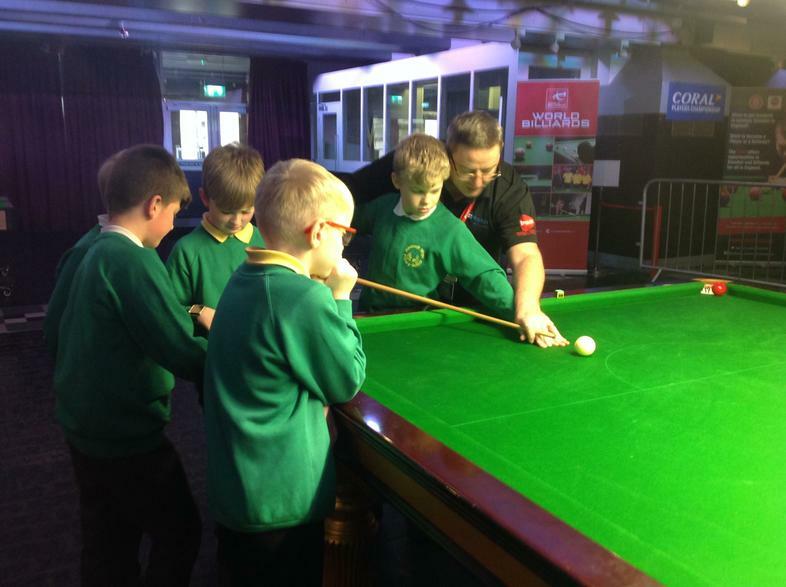 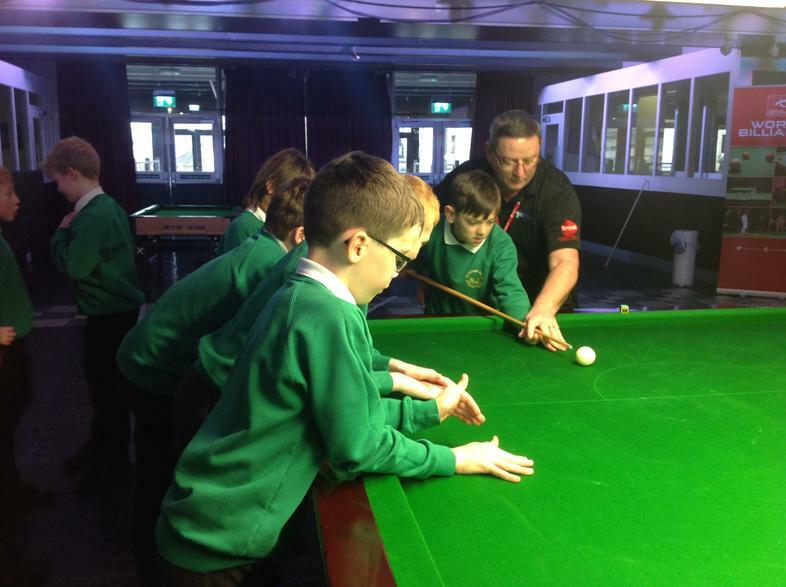 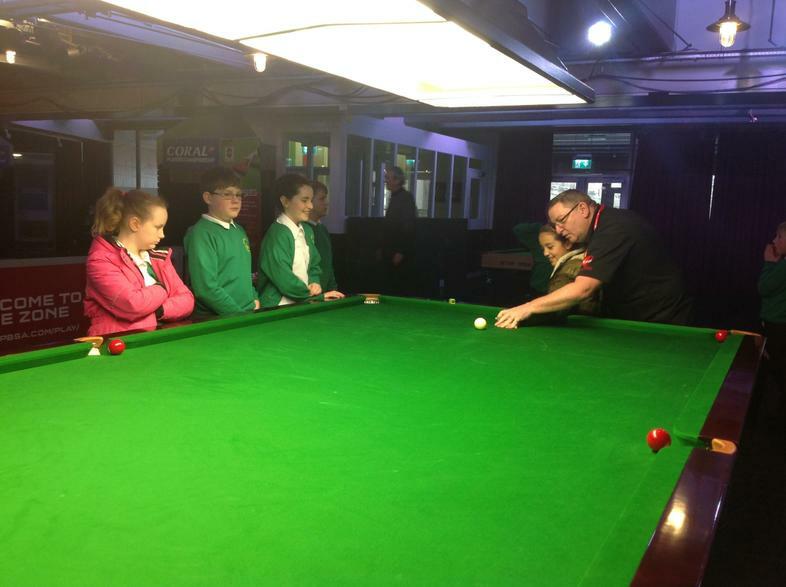 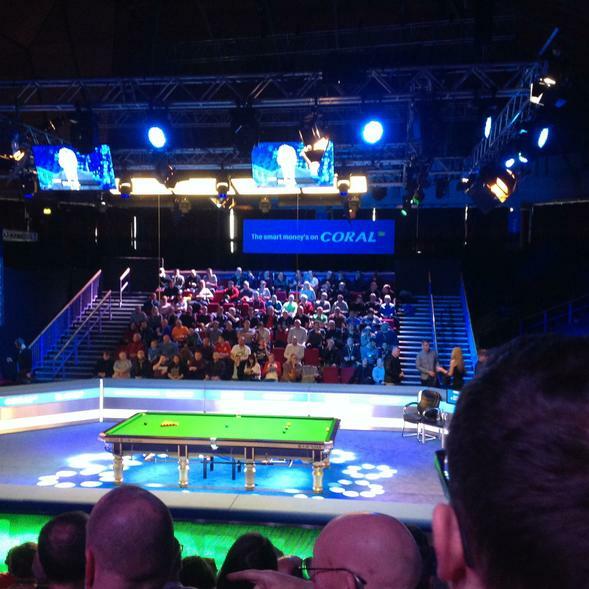 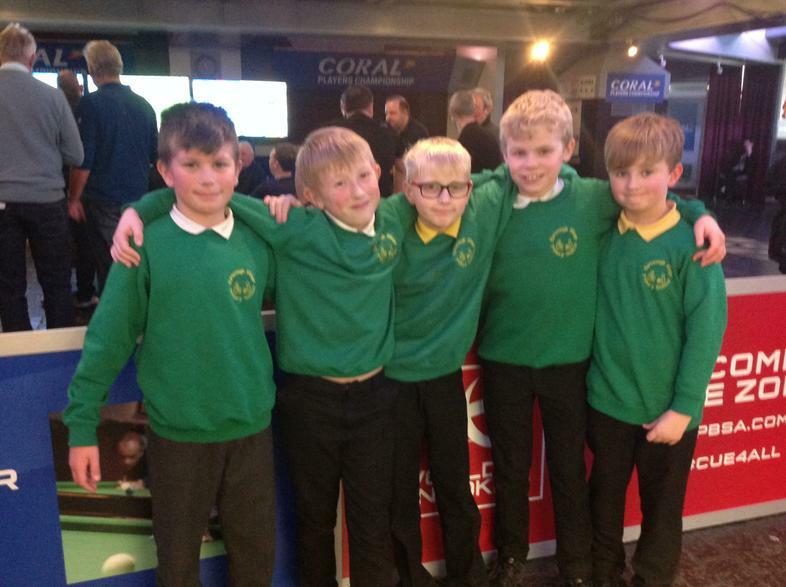 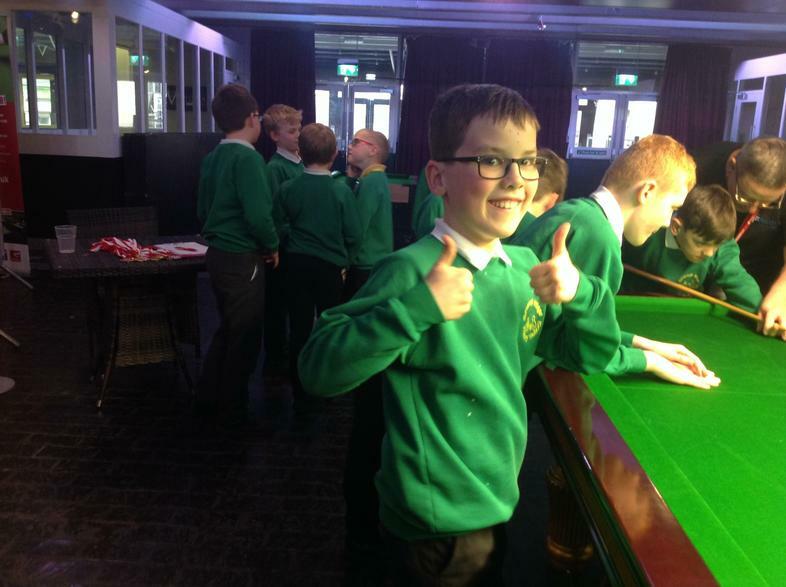 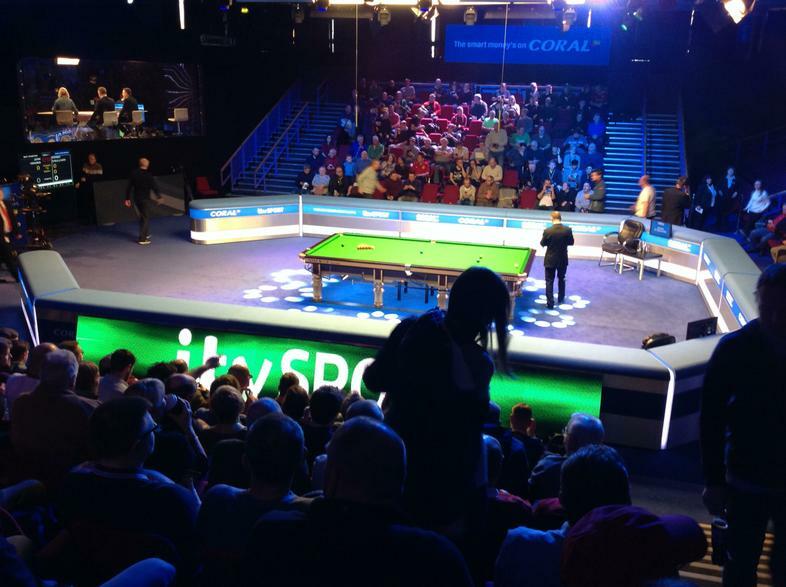 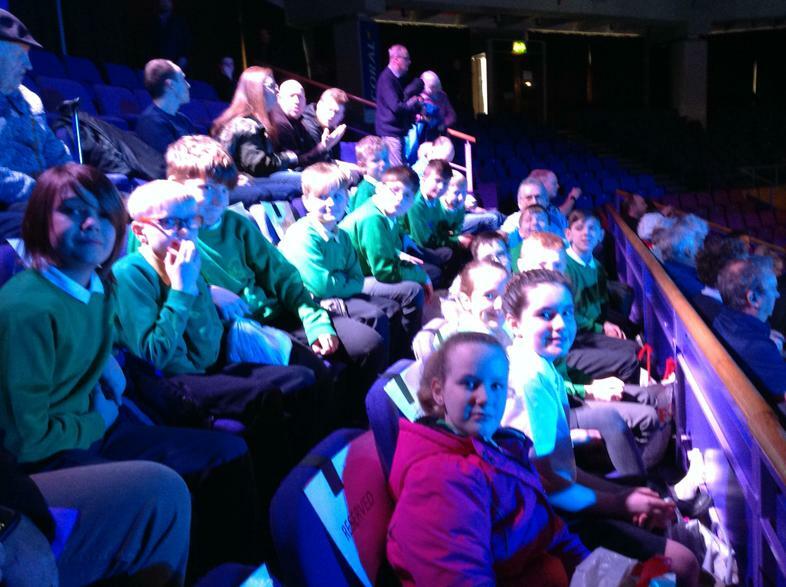 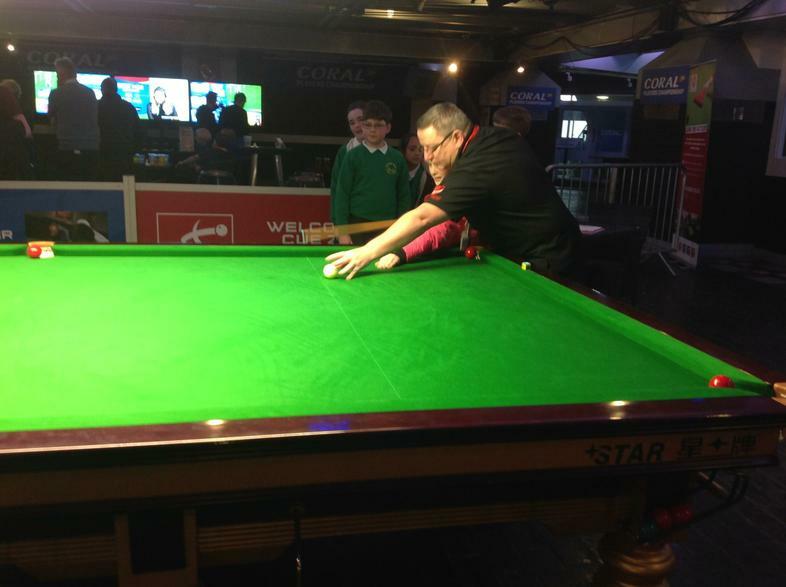 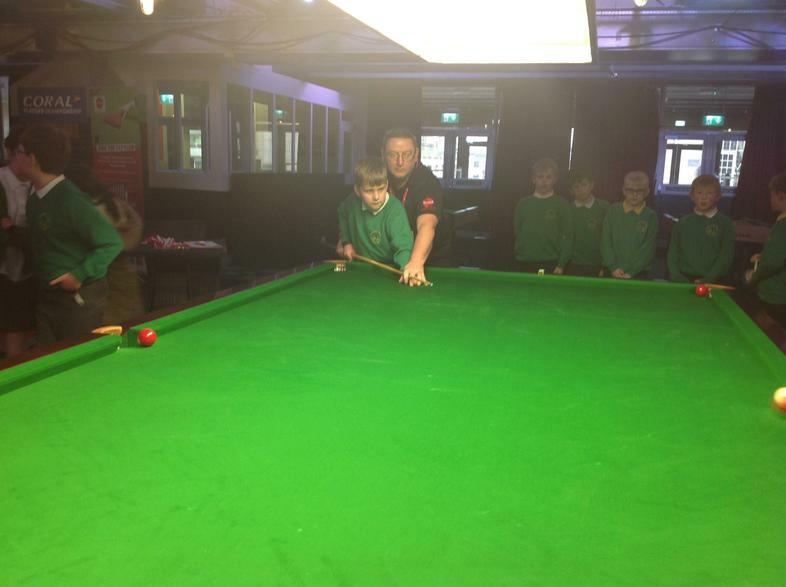 Mrs Sadgrove was absolutely delighted to lead a visit to Preston Guild Hall recently where our children were treated to a real experience of being able to watch World Professional billiards and snooker being played live! 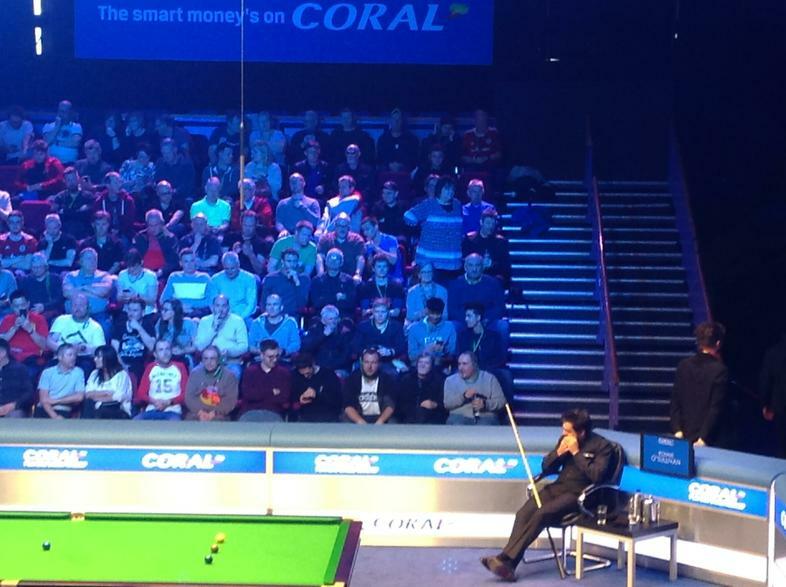 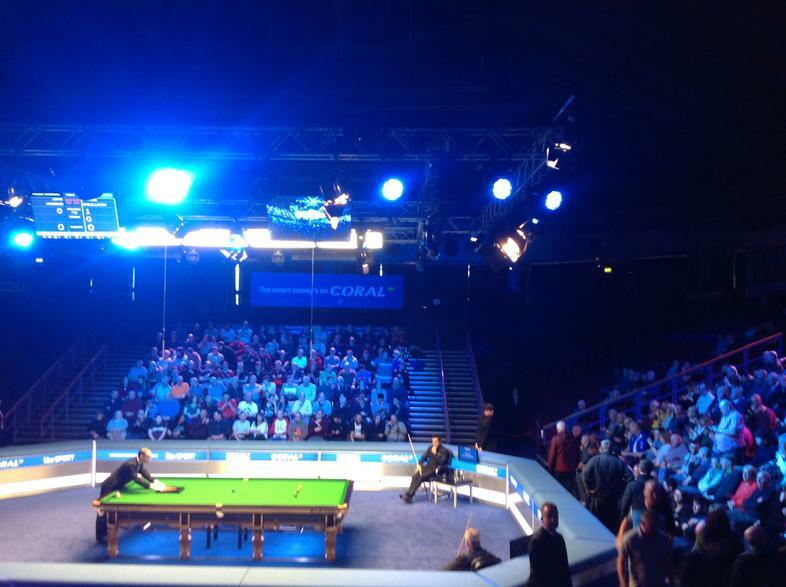 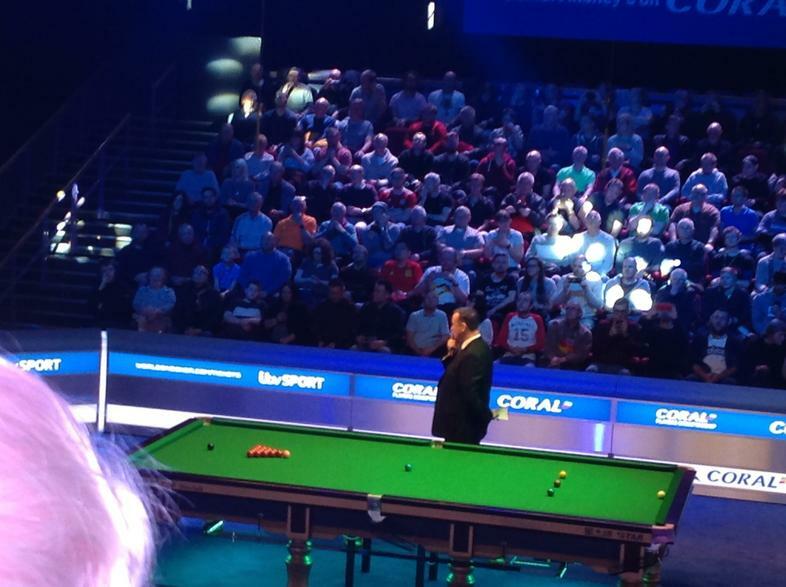 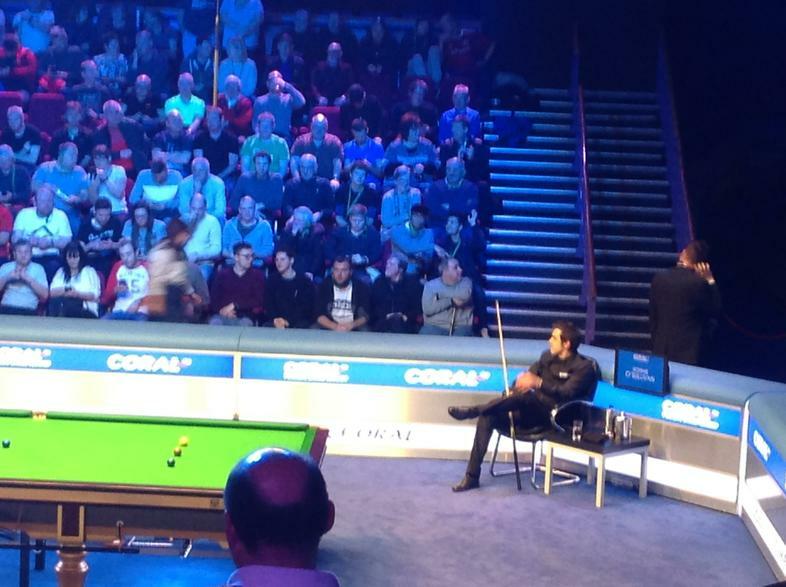 They watched a match between Ronnie O’Sullivan and John Higgins. 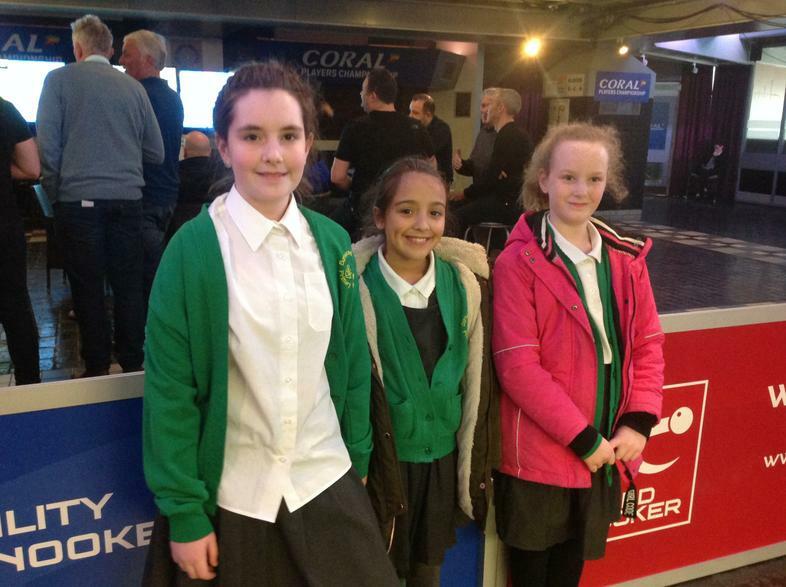 They also got to watch Mark Allen and Neil Robertson in the practice room, they were real VIP's for the day! 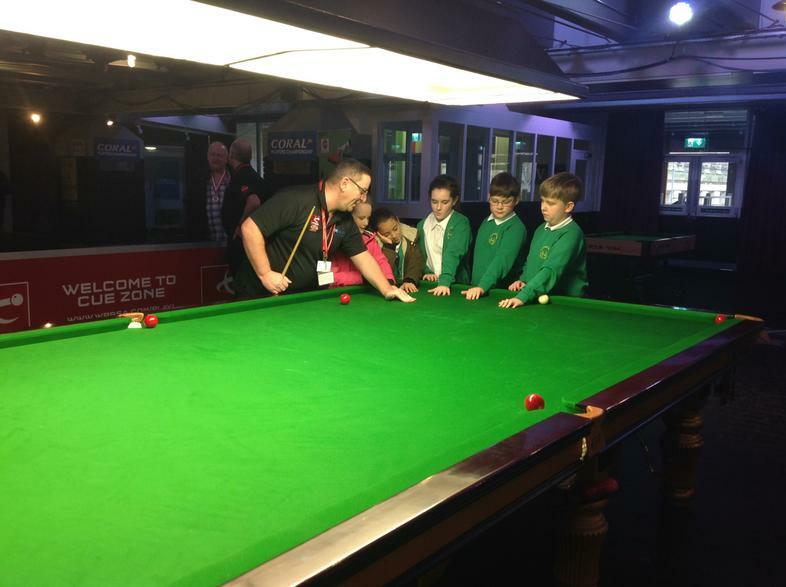 The children got to have a practice of handling the cues in the Cue zone where they had a go on a full size snooker table. 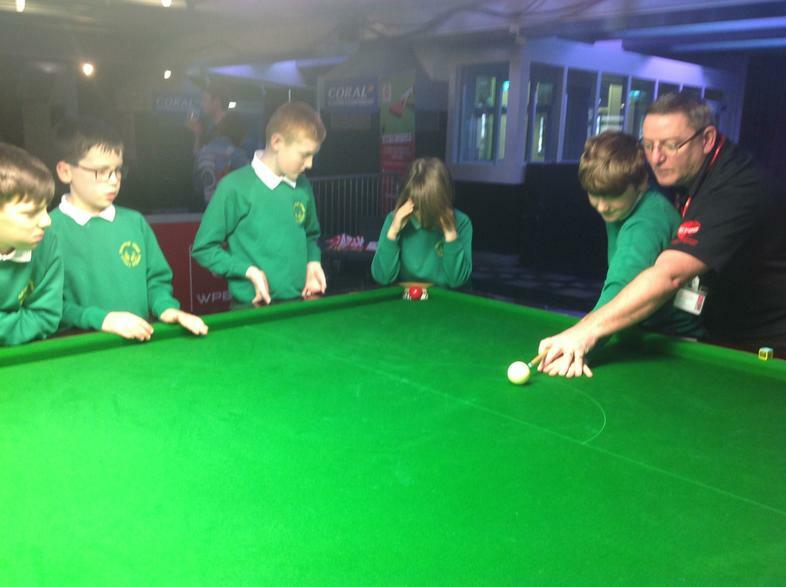 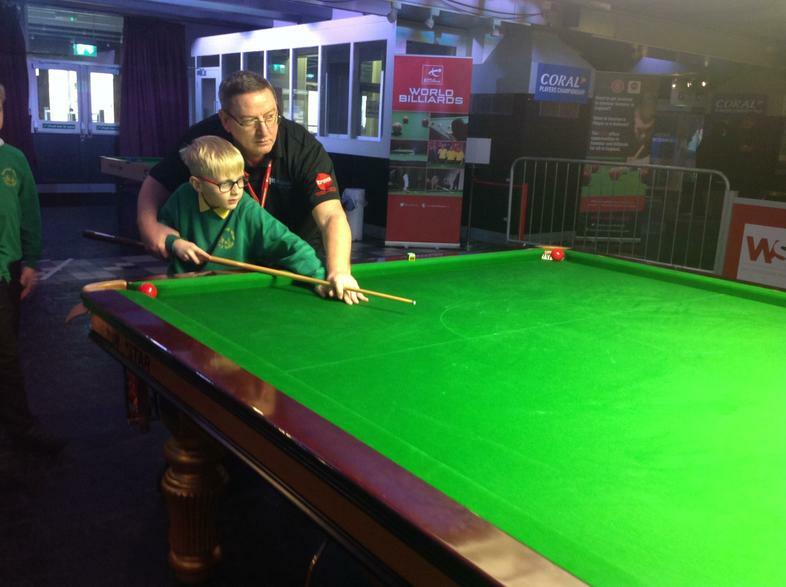 There were two WPBSA coaches who taught them how to play and they were all awarded medals. 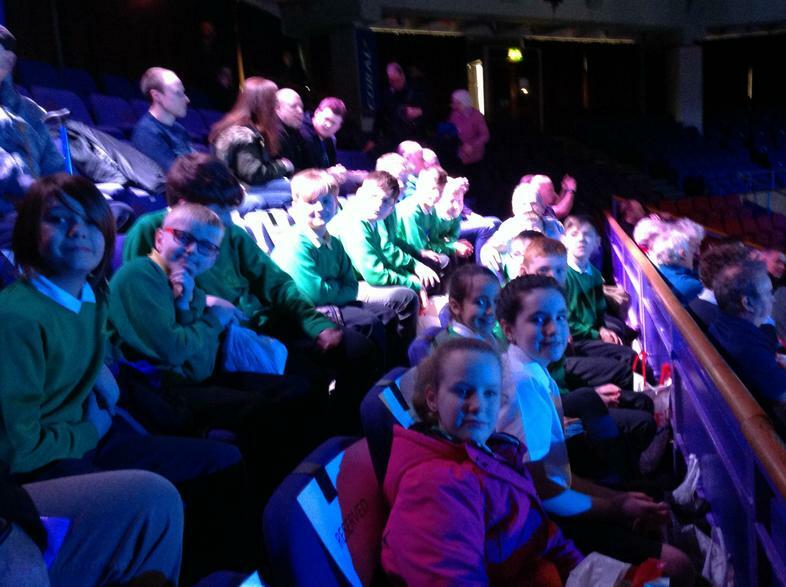 All in all, the children had a fantastic time! 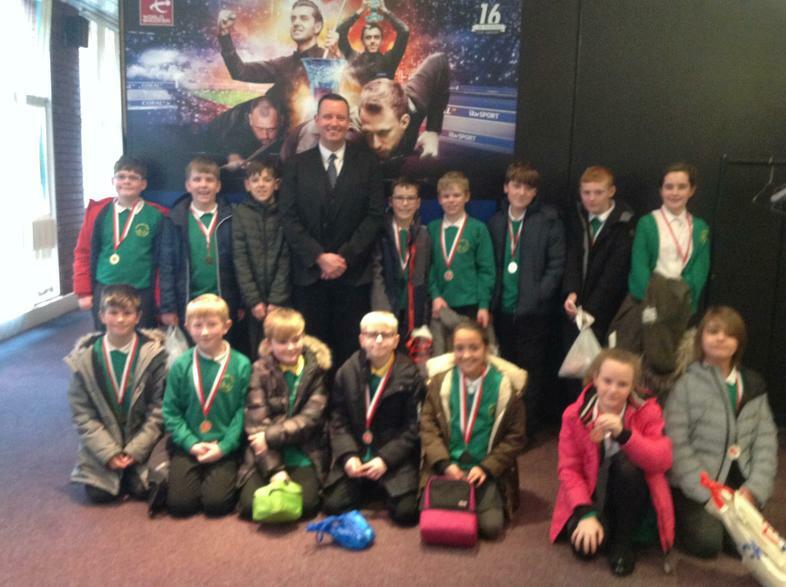 Special thanks to Mr Sadgrove and Mr Moss who gave up their afternoon to help Mrs Sadgrove on the visit.